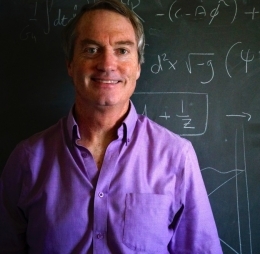 Joseph Polchinski has been awarded the prestigious Breakthrough Prize in Fundamental Physics for his transformative advances in quantum field theory, string theory and quantum gravity. The Breakthrough Prize in Fundamental Physics recognizes major insights into the deepest questions of the universe. A member of the UCSB Physics faculty and permanent member of Kavli Institute for Theoretical Physics (KITP), Prof. Polchinski has devoted his career to studying fundamental physics, and is best known for his discovery of D-branes, extended structures that appear to be central to the mathematics and physics of string theory. Prof. Polchinski shares the award and $3 million prize with Harvard physicists Andrew Strominger and Cumrun Vafa. See the full article at the UC Current.